We strongly recommend booking your class in advance and showing up 15 minutes before class to get sorted, especially if this is your first class with us. And really that’s the hardest part — showing up! Look Delta compatible bike shoes - we also have shoes available to rent in studio! Sign up to keep up to date on all things StarCycle Felida. We proudly will be offering craft-based childcare with skilled caretakers. Parents can take that important time for themselves knowing their children are in good hands and having fun. Childcare is $5 per visit. We also offer Childcare packages of 10 for $45, or 20 for $75. Members receive 10 free childcare sessions a month. Check out our full schedule and pricing on our packages and monthly memberships on MindBodyOnline. If you don’t already have a MindBodyOnline account, you will need to sign up for one—it’s free and easy. You can also call our studio to schedule your class or to get help setting up on MindBodyOnline. Salina, Erica and Eryn are all fitness entusiast that have a sincere passion for health, family and great music. StarCycle Felida will be the second studio for Salina and Erica, and the first studio for Eryn. Eryn Washington has been a fitness instructor since 2012. After having her third baby, she began taking barre classes, at the suggestion of her long-time friend and now business partner, Salina. She quickly pursued becoming an instructor and found her passion in leading classes, and combining her love of fitness, music and people. When Erica and Salina left to teach StarCycle, her interest was piqued. After trying a class, she loved the energetic, beat-bumping, full-body workout, and she decided to add spinning to her resumé. 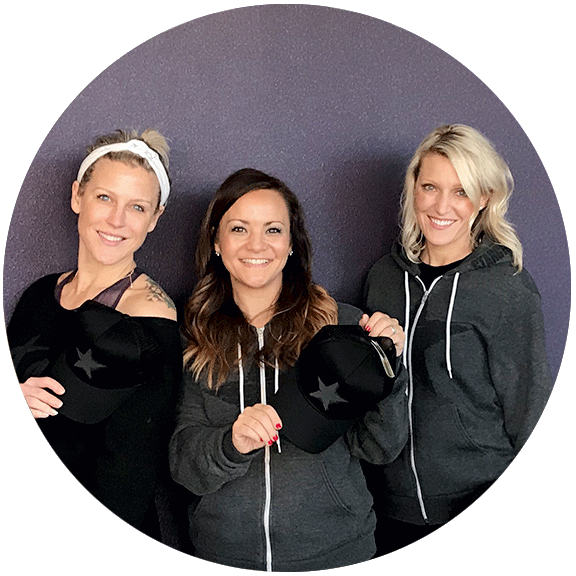 Ten months after teaching both barre and StarCycle, Eryn left barre to pursue her dream of owning a StarCyle studio with her friends Salina and Erica. Eryn has been married for 13 years. She is a mama to three awesome and busy kids. She is an alumni of Washington State University. StarCycle Felida is located in the new Erickson Farms shopping center, next to Grapes and Growlers off Lakeshore Drive. You can cancel a reservation up to 4 hours before class. For 6am classes, please cancel no later than 10am. Late cancellations or no-shows incur a $25 charge to accounts with an unlimited monthly membership or the reduction of one class from a class package.